Aging: Inevitable to all, yet dreaded by most. Although with old age does come greater wisdom, and the oh-so-exciting retirement that can consist of sunny days at a Fort Lauderdale beach, age can unfortunately show up in unpleasant ways. One of these ways is through the skin. While one may not be able to turn back the hands of time, there are certainly methods to reduce its’ effect. 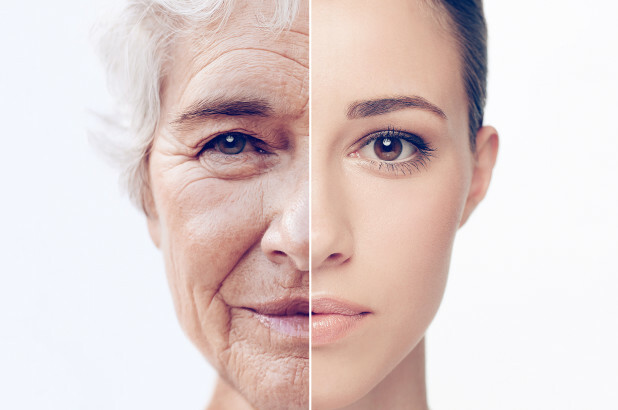 Human skin aging is the outcome of two processes. The first is internal, intrinsic aging that affects the skin in the same way that it affects the rest of the body and its’ organs. In other words, in due time, and without external factors that can accelerate aging, intrinsic aging will happen to our entire bodies. The second, is external aging that is influenced by hormonal changes and exposure to ultraviolet rays. Although both these factors are undoubtedly bound to happen, premature aging is primarily the result of repeated exposure to UV rays. In fact, approximately 80% of facial skin aging can be ascribed to this exposure. This photoaging leads to a diminished Hyaluronic Acid supply, as well as a lessened concentration of HA receptors in the skin. Studies have shown that hyaluronic acid can significantly reduce the effect of UV rays on keratinocytes. These are epidermal cells that produce keratin, a fibrous, structural protien found in the skin, hair, and nails. In order to combat the detrimental effects on skin health, using a topical product that replenishes the depleted levels of HA with a new supply is essential in order to proactively prevent and fight premature aging.